As the holiday season approaches, and the weather turns wintery, we start to think about the abundance of food and drink we are about to consume; after all it is the time to be merry right! The supermarkets are packed to the rafters and there is no getting away from the endless displays of sugar-filled treats on offer to tempt us. It is definitely a time for caution as people tend to let good habits slide during the festive season. 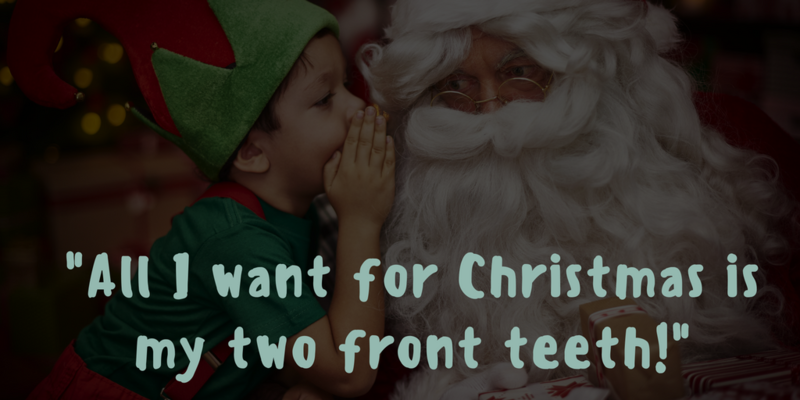 We have come up with some top tips to keep your oral hygiene in check., so that your teeth shine as bright as the tinsel on Christmas day! Advent calendars have fast become a favourite for children of all ages; opening a door each day to be faced with a chocolate hit! We have found there are so many alternative varieties available, it is now possible to opt for alternatives, rather than the very sugary chocolate ones. You can find advent calendars with little candles, flavoured tea, Lego pieces, puzzles and even perfumes! Try a different daily surprise and save your teeth from a morning sugar load. If you want to stick to the chocolate option, try to save it until after breakfast, that way your mouth will have started to produce saliva, which will do a better job of protecting your teeth. Another tip is to drink a glass of water afterwards, that can help to wash away some of the sugar and prevent it from sticking to your teeth. We talk a lot about the enamel on your teeth, because it is there to protect each tooth like a special blanket guarding off harmful bacteria and acids from plaque which can cause tooth decay. After eating anything acidic or sugary, the temptation is to brush your teeth immediately. This can cause problems, as the sugars have softened the enamel and can end up eroding away. By waiting a little, perhaps 30 minutes, before you brush will make all the difference. Maintaining good oral care during the holidays can be tough and we do not want to spoil your fun, and so the best way to ensure your teeth don’t suffer is coming along for a check up, or making sure you see your dentist regularly. If you are one of the many people who have avoided going to the dentist for years because the idea of it fills you with anxiety, you will be pleased to know that at Archway Dental Group, we are trained in taking care of nervous patients. We offer a warm and welcoming reception area, friendly, relaxed reception staff, and home comforts such as sofas rather than hard chairs to wait on. In the dentist’s chair, you can be sure of our experience and non judgemental approach so that you can go through your treatments feeling relaxed and unafraid. Prevention is better than cure, and although tooth decay is common, actually what is most common is gum disease. Read about gum disease here. May we wish all of our patients a warm and festive holiday season, from all the team at Archway Dental Group.